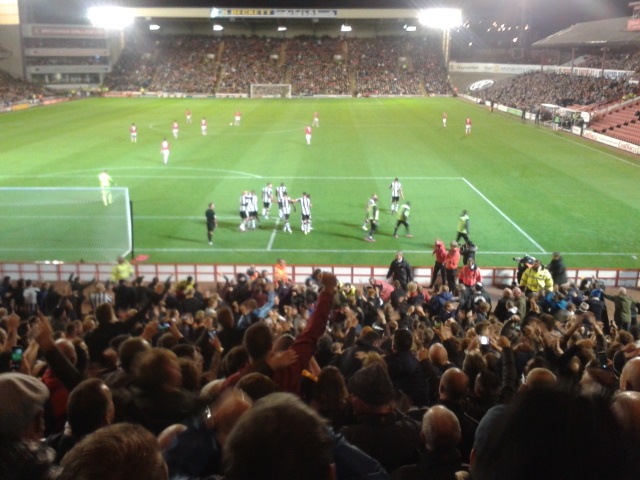 TOON PLAYERS CELEBRATE WOR 2nd GOAL IN FRONT OF THE AWAY END! "THE LONG AND GRINDING ROAD!" The short trip to sooth Yorkshire took less than 2 hours but 'Big Al' who waz drivin' (NOT the sheet metal workers son!) 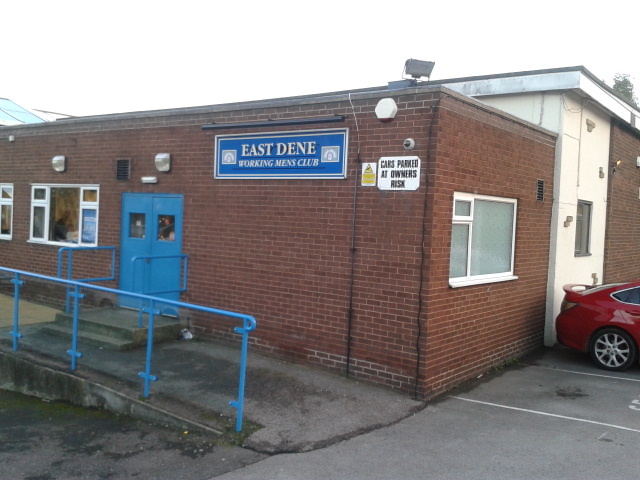 got lost in Barnsleee toon centre az we tried to find 'The East Dene Workin' Mens Club' where he'd been on a previous visit! 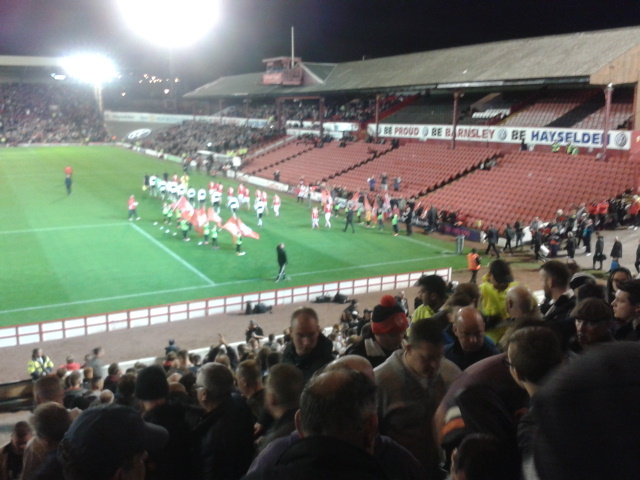 We eventually foond it, but it waz heavin' with Toon fans singin' a mackem peedo song (yi naa the one!) and slaggin' the place off with renditions of: "Barnsleee's a sh**hole a wonaa go home! ", az they banged the tables and waalls! 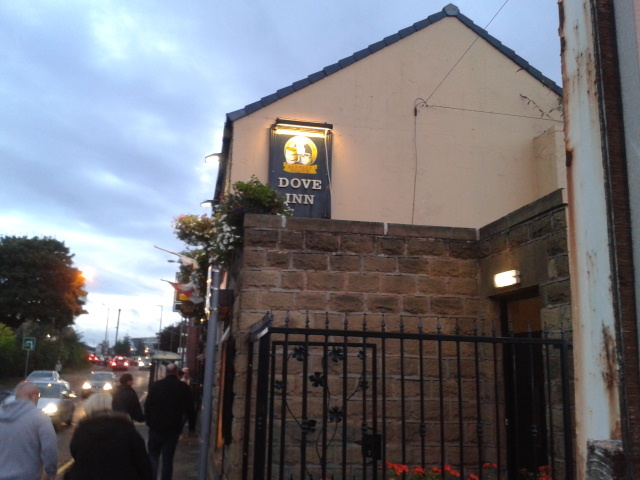 After just one 'liquid lubrication' we decided to 'move on' to 'The Dove' boozer just alang the road and within sight of the groond! 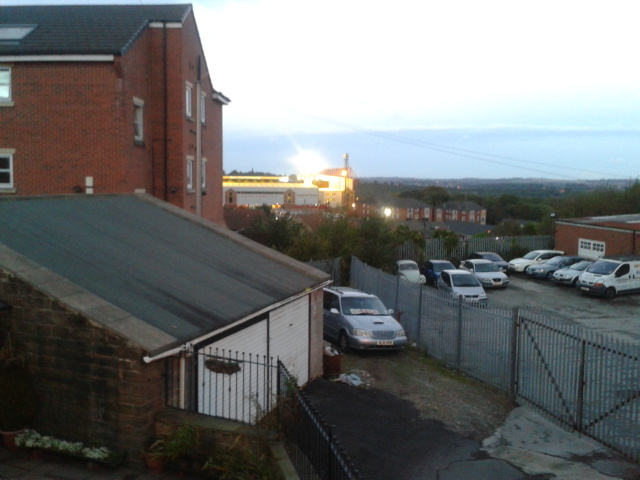 Yi walk doon a steep hill to the groond which winds around newly built hooses like a snake and heeded for the away end. We leave yoo to draw your own conclusions! (the tickets wernt even the same colour!) Luckily for him, Toon fan 'International Russcue' came to hiz 'rescue' and foond him a spare ticket! The forst half waz dominated by 'us' az we attacked the far end from the near 6,000 away section followers, but we couldn't make the breaktrough in this half! That soon changed not lang after the restart when Dwight Gayle scrambled the baall into the back of the net to break the deadlock and lift the roof off (wait for it!) 'The Palmer Cons. 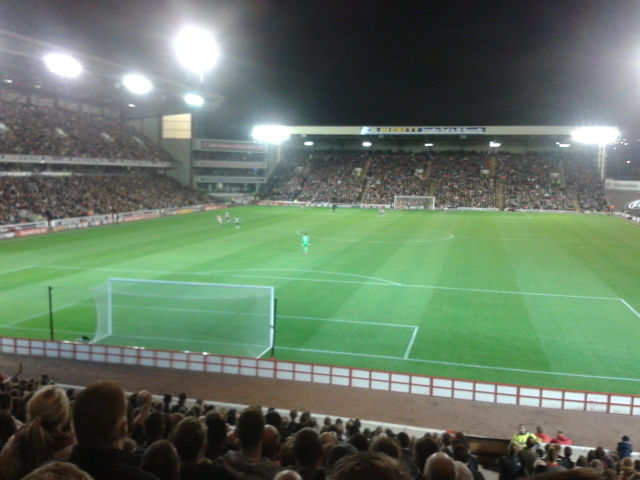 Ltd North Stand'! 1st HALF ACTION AZ THE TOON ATTACK THE FAR GOAL! We were grindin' oot a result in the long grind to the top of the leegue az we hord that Norwich were 2-2 at Fulham, havin' blown a 2 goal lead---'WE' were top!--for the mo at least! And then 'the clincher'!----Matt Richie played the baall through to Gayle and he expertly lobbed their keeper az the baall heeded for the net in wot seemed like 'slow motion'!---2-0 up---there waz nee way back for 'The Tykes' now! 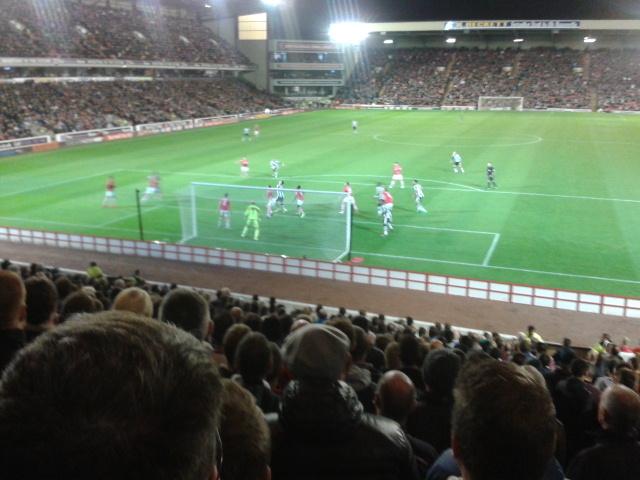 THE TOON ON THE *OFFENSIVE--- JUST BEFORE WOR 2nd GOAL! The lang 'grind' continues on Saturday with a home game against 'Bent Nose McCarthy's' Ipswich side and then its a home game v Preston in the Leegue Cup next Tuesday, before heedin' for Preston for a Leegue game the followin' Saturday!---I wonder if 'Blondie Alan' will take hiz 'spare' BARNSLEEE ticket to that one!??? ?